I was very excited to receive my package from the people at Kicky Pants today. I love they style of their clothes online and just had to see what they were like for myself. As i opened the package I saw the cute colors and pattern on a pair of pants they sent me and THEN I picked them up. 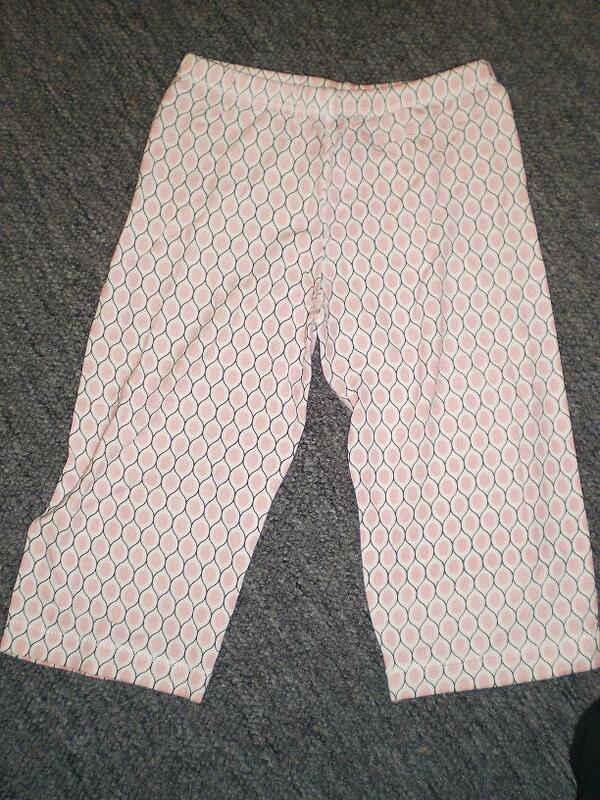 They are soooo soft and almost silky feeling, the pants even have a slight stretchiness to them. They are light weight and look like they would be so comfy (kind of wish they had them in my size). When we got home I put them on my 10 month old and they looked even cuter to me. 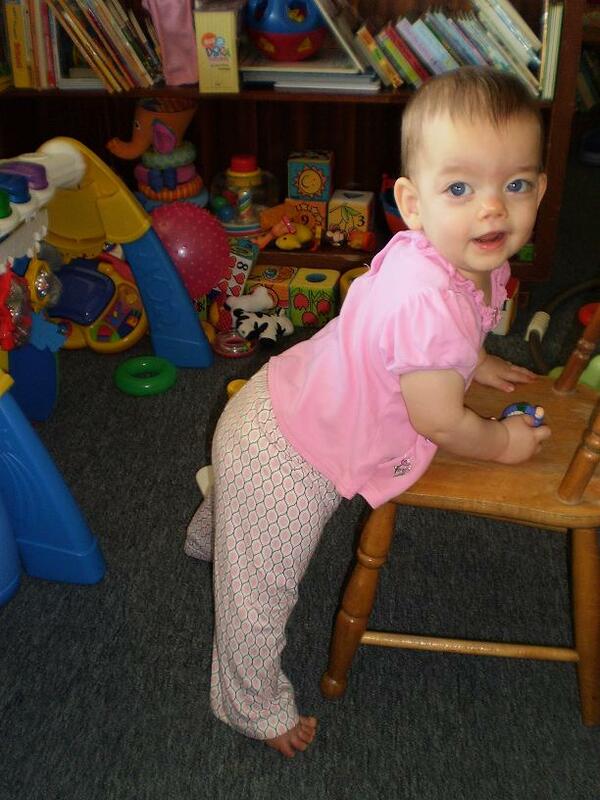 The stretchy fit even made it easy for her to crawl around and move freely. I’m excited to get more clothing from Kicky Pants. Their clothes are cute and functional for my little one. I also recommend these clothes to everyone. Thank you Kicky Pants for letting me do this review. “A comfortable and incredibly sustainable bamboo clothing line ideal for mothers and babies, Kicky Pants offers playful and charming styles while being extraordinarily breathable, soft and cozy for all seasons. 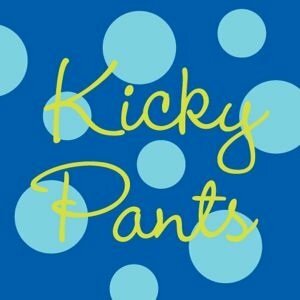 Kicky Pants was created in 2009 when Erin Cloke was on bed rest while pregnant with her second child. Challenged to find age-appropriate clothing for her boys, she was inspired to design a line that would “celebrate innocence,” and be eco-friendly at an affordable cost. All fabrics and designs are exclusive to Kicky Pants, and the process is maintained from the fabric mill to the finish. — Bamboo grows quickly – It is among the fastest growing plants in the world, reaching close to full height in about 100 days in the right weather conditions. • The Kicky Pants blend is the only one of its kind. It’s 95% bamboo and 5% lycra, giving it more natural softness than any other bamboo line. It has just enough stretch/give to make it easy to pull over baby’s head. • Because of the high percentage of bamboo used in their unique fabric, Kicky Pants Bamboo Basics take on a unique well-worn look that adds character and cozy softness to the unique fabric. • All pieces in the Kicky Pants Bamboo Basics collection are designed to be interchangeable, so no more searching for matching pieces since all colors and styles can be mixed and matched. * I was provided this product for my review, no monetary compensation was provided. My review is my honest opinion of the product and may differ from your experience.